Who created Common Core math, and will the standards survive? Who was behind the Common Core math standards, and will they survive? 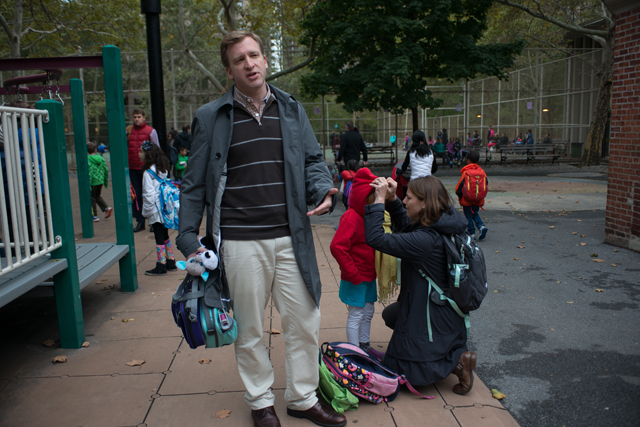 NEW YORK – Every Saturday morning at 10 a.m., Jason Zimba begins a math tutoring session for his two young daughters with the same ritual. His youngest, Claire, 4, draws on a worksheet while his oldest, Abigail, 7, pulls math problems written on strips of paper out of an old Kleenex box, decorated like a piggy bank with a pink snout on one end and a curly-cue tail on the other, and adds the numbers as fast as she can. If she gets the answer “lickety-split,” as her dad says, she can check them off. If she doesn’t, the problem goes back in the box, to try the following week. Zimba began the Saturday lessons to make up for what he felt was subpar math instruction at Abigail’s public elementary school in Manhattan after it switched to the Common Core, a set of controversial new math and English standards adopted by most states in 2010. The standards have been in place in many districts for three years, but most textbooks, curriculum and teacher training have yet to catch up to the Common Core’s grand vision. The math standards, in particular, have caused outrage across the country as parents have grappled with confusing homework and garbled word problems labeled Common Core. Several states are currently reconsidering the standards in response to the growing backlash. But Zimba, a mathematician by training, is not just any disgruntled parent. He’s one of the guys who wrote the Common Core. “I would be sleeping in if I weren’t frustrated,” Zimba says of his Saturday morning lessons, which he teaches in his pajamas. Instead, four years after signing off on the final draft of the standards, he spends his weekends trying to make up for the lackluster curriculum at his daughters’ school and his weekdays trying to make up for the lackluster curriculum and teaching at schools around the country that are struggling to shift to the Common Core. Zimba and the other writers of the Common Core knew the transition would be tough, but they never imagined conflicts over bad homework would fuel political battles and threaten the very existence of their dream to remodel American education. When Zimba was first hired to help write a new set of K-12 math standards in 2009, the groups behind the Common Core — including representatives from 48 states — set very ambitious goals. The tough new academic guidelines would match the academic expectations for students held by higher-performing rivals like Singapore and South Korea. The standards would not only catapult American students ahead of other developed nations, but would also help close the gaping achievement gaps between low-income students in the U.S. and their wealthier counterparts. The Common Core would drive publishers and test makers to create better curriculum and better tests, and push school districts and teachers to stop settling for the mediocrity of the No Child Left Behind years and instead aim for excellence for their students. And the guidelines would arm every principal, teacher and parent with the knowledge of exactly what it takes to get into college and succeed. The champions of the Common Core – including organizations like the National Governors Association and the Council for Chief State School Officers – expected the task to be difficult. Overhauling textbooks would take a lot of time, and training teachers would take even more. But the political rage caught them by surprise. The groundswell of opposition to the standards has been bipartisan: Both Tea Party conservatives and labor movement liberals have found reasons to hate them. Tea Partiers believe the standards are another example of federal government overreach, and some have dubbed them “Obamacore.” Progressive opponents of Common Core worry the standards are part of a movement to privatize education, underwritten by wealthy businessmen like Bill Gates. But their fears have a common root: a mistrust (and, supporters of Common Core say, a misunderstanding) of who wrote the standards and why. Much of that work may be in vain if Common Core’s supporters can’t convince the public that the standards weren’t a conspiracy by a few nefarious powerbrokers, but rather a sincere — and bipartisan — effort to raise expectations for American students. And yet, as much as supporters emphasize the democratic origin of the standards and count out the dozens of experts and teachers who were consulted, the Common Core math standards were ultimately crafted by three guys whose only goal was to improve the way mathematics is taught. That, some experts argue, is what makes the Common Core better, if more precarious, than the standards they’ve replaced. 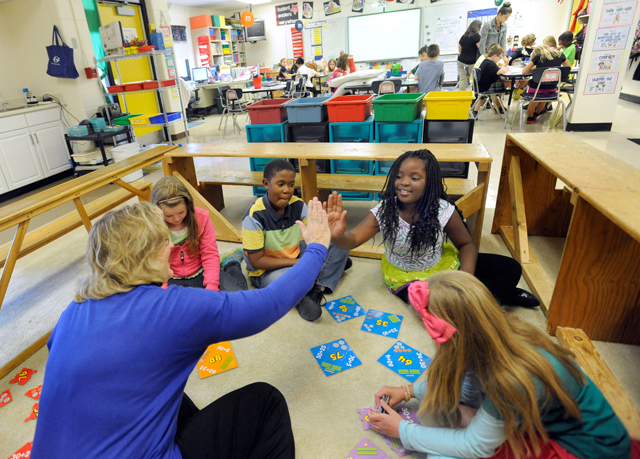 One-third of states didn’t require students to memorize their times tables before Common Core. Looking back now, many Common Core supporters say they wish they’d handled the politics better, but the backlash was perhaps inevitable. 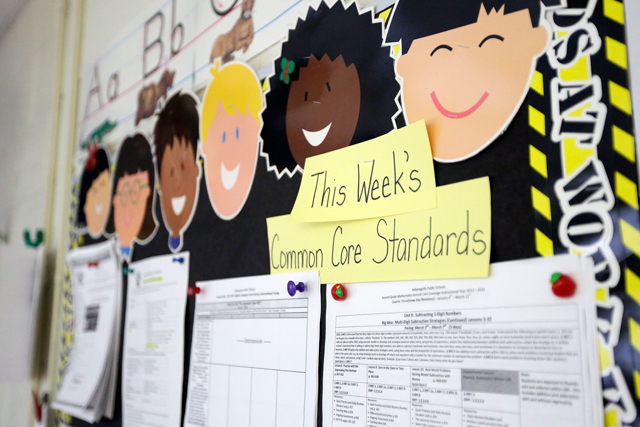 Despite fears that the standards are a federal dictate controlling what happens in American classrooms, the Common Core only contains broad guidelines about what students should know, not directions about how textbooks should be written or how teachers should teach. Publishers, school districts and teachers have mostly been left to their own devices to fill in the many blanks left by the standards, and to figure out how to meet the higher demands of Common Core. On the surface, Zimba, 45, seemed an odd choice for a major national project like Common Core. McCallum and Daro were obvious. Both were well known and admired in the world of math and education. McCallum is a prominent mathematician who has authored algebra and calculus textbooks and helped write Arizona’s K-12 math standards. In 2009, Daro was a senior fellow at a for-profit curriculum and teacher training company, America’s Choice. In the nineties, he was involved in developing California’s math standards. But from Williams, Zimba’s career took off. He was chosen for a Rhodes scholarship to England’s Oxford University in 1991. At Oxford, he made friends with a Yale student from Manhattan, David Coleman. Coleman went on to become a consultant for McKinsey, the global consulting firm, and though Zimba returned to do stints of factory work to help support his family in Detroit, eventually he headed to the prestigious math department at the University of California Berkeley for a PhD in mathematical physics. In 1999 reconnected with Coleman, who had an idea for starting an education business. At first, they considered going into educational video games, but scrapped the idea in favor of an even bigger educational trend: standardized testing. The No Child Left Behind Act was still around the corner, but a growing education reform movement, which insisted holding schools more accountable for student test scores would increase performance, had already pushed many states to expand standardized testing. Coleman and Zimba’s business, the Grow Network, found a niche in the burgeoning field of testing by producing reports that helped schools, teachers, parents and even students themselves interpret results from the new exams. “To design a successful assessment report, you need to be thoughtful about what the teacher really needs, what the student really needs,” Coleman says. Thanks to Zimba, Coleman added, they were. Zimba had a genius for creating reports that were both mathematically precise but also humane if a student didn’t do well, Coleman says. Grow Network was hired by states like California and districts like New York City, and was eventually bought out by the educational publishing giant, McGraw-Hill, for an undisclosed price. Zimba and Coleman went their separate ways. Coleman stayed on a bit longer with the company under McGraw-Hill. After a brief stint at a liberal arts college in Iowa, Zimba landed at Bennington, where Coleman’s mother was president. Zimba and Coleman stayed in touch, often discussing a problem that had bothered them during their years studying standardized tests. Every state had its own standards, and state standards varied widely in their expectations for students. For instance, some states required students to memorize the times tables, but about a third of states didn’t, according to Zimba. But what most worried Coleman and Zimba — and many education experts — was the sheer number of standards in most states. The common critique was that most American grade-level guidelines were “a mile wide and an inch deep,” in stark contrast to the fewer but more intense expectations in high-achieving countries like Japan and Singapore. “Previous standards ranged from terrible to not good enough. The best of them were little more than test blue prints. They were not a blue print for learning math.” Jason Zimba, co-writer of the Common Core math standards. The paper got the attention of several groups that had latched onto a similar idea, including the Council of Chief State School Officers and the National Governors Association, one of the original leaders in the Reagan-era standards movement. “It’s so unusual that ideas get you anywhere, that people find it very surprising,” says Coleman. But a couple of years later, when the two organizations joined forces to draft a set of “fewer, clearer, higher” standards, Coleman and Zimba were picked to help lead the effort. A new organization Zimba and Coleman founded, Student Achievement Partners, was paid through a contract for the work. The CCSSO declined to disclose the amount of the contract or the total spent on the development of the Common Core, but said funding was provided by the Bill & Melinda Gates Foundation, Carnegie and other foundations, as well as state membership dues from CCSSO and the NGA. That fall, though, finishing the Common Core math standards came first. He was still on the faculty at Bennington, although on leave for part of the time, so the standards were mostly written at night, in “the barn,” an old garage on his property that he had transformed into a study. “It was hard on us as a family,” he says. “I gave an awful lot.” In October, his mother, who had worked most of her life as waitress, passed away. Zimba kept working. They started with a blueprint that laid out what students should know by the end of high school that was written by Achieve, a nonprofit that advocates for better standards and tests, and by the testing groups College Board and ACT. Then they began consulting the research on math education – when it existed – and enlisting the ideas of experts in various fields of mathematics. During the course of the next year, they consulted with state officials, mathematicians, and teachers, including a group convened by American Federation of Teachers, a national union. Often feedback about a problem with one standard – such as when to teach students how to divide fractions – set off a cascade and they’d have to rework a whole sequence. Draft after draft was passed back and forth over email. The final drafts of the standards were released to the public in June 2010. By the following year, thanks in part to financial incentives dangled by the Obama administration, more than 40 states had adopted them, and schools and teachers scrambled to throw out their old lessons and adapt to the more rigorous expectations. Zimba quit his job at Bennington to work full time at Student Achievement Partners to promote the standards. Glenn Beck and other conservative pundits picked up the post, and it went viral. A couple of months later, the comedian Louis C.K. complained about his daughter’s Common Core math homework on Twitter, and late night comedians like Stephen Colbert began mocking the standards, too. Critics called the standards convoluted, too abstract and too conceptual because of the focus on getting students to explain and discuss their answers. By the summer of 2014, Indiana and Oklahoma had pulled out of the Common Core, other states had passed legislation to replace the standards in the coming years, and still others are threatening to do the same this year. Supporters of the standards, including teachers unions and the Gates Foundation, are now trying to salvage Common Core by calling on states to hold off on the stakes associated with new Common Core tests, including new teacher evaluations in many states based on student scores. The backlash has both annoyed and baffled the writers. “When I see some of those problems posted on Facebook, I think I would have been mad, too,” McCallum says. Daro tells a story about his grandson, who brought home a math worksheet labeled “Common Core,” with a copyright date of 1999. They argue there’s actually very little fuzziness to the math in the Common Core. Students have to memorize their times tables by third grade and be able to do the kind of meat-and-potatoes problems Zimba asks of his daughter during their Saturday tutoring sessions, requirements he believes the so-called Common Core curriculum at her school essentially ignored. Hung-Hsi Wu, a mathematics professor at Berkeley and one of the expert advisors in the Common Core process, blames the Common Core’s problems on bad – and ubiquitous – textbooks that the publishing industry is reluctant to change. “Publishers don’t want to bother with writing anything because they’ve gone through too many sets of standards,” he says. That problem is how to elevate the academic achievement of the most disadvantaged students in the U.S. and the achievement of American students in general, so the country can maintain its competitive advantage in the global economy. These days, Zimba and his colleagues acknowledge better standards aren’t enough. For American public schooling to transform as the Common Core writers believe it should, curriculum and textbooks have to change, and so does the way teachers teach. And that is the irony of the debate over the standards, and what may be their undoing. As powerful and influential in reshaping American classrooms as the standards could be, they don’t include lesson plans, or teaching methods, or alternative strategies for when students don’t get it. Even as Zimba and his colleagues defend the standards against cries of federal overreach, they are helpless when it comes to making sure textbook publishers, test makers, superintendents, principals and teachers interpret the standards in ways that will actually improve American public education, not make it worse. Like McCallum, Zimba agrees with the North Carolina dad that the question on his son’s Common Core-labeled math quiz was terrible. But, as long as Americans hold to the conviction that most of what happens in schools should be kept under the control of states and local communities, the quality of the curriculum is out of his hands. “Like it or not, the standards allow a lot of freedom,” he said. This year, Zimba convinced his daughter’s school to try out a new curriculum that’s better aligned to the standards he wrote. He is also devoting his time at his nonprofit, Student Achievement Partners, to create checklists other schools can use to find good textbooks that match the Common Core. 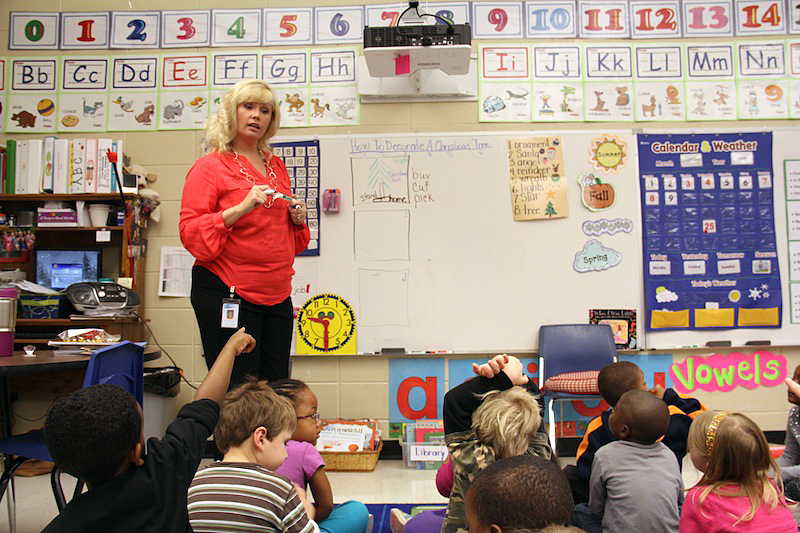 The group has published training materials, including videos in which teachers demonstrate Common Core lessons. 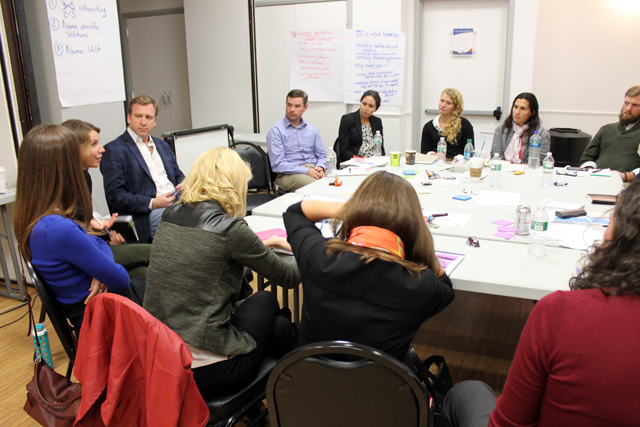 On a recent rainy afternoon in Manhattan, the organization gathered in a conference room to hash out ideas for an online tool, funded by the Leona M. and Harry B. Helmsley Charitable Trust (among the many funders of The Hechinger Report), that could help teachers better understand the standards. One idea for this tool was a “swipe-y” app that teachers could use to figure out whether students grasped a standard or not – something that would function much like Tinder, the matchmaking site. In the end, the group was most enthusiastic about a more low-tech, but probably less manageable, option: a hotline that teachers and parents could call to find out if the Common Core-labeled math problems they found in their textbooks and homework were good or bad. Daro and McCallum are leading their own efforts. 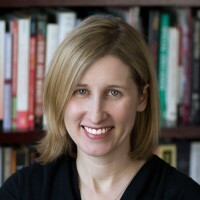 McCallum founded a nonprofit called Illustrative Mathematics that produces sample tasks linked to the Common Core, trains teachers and produces curriculum blueprints. And Daro is actually writing an entire Common Core math curriculum for use on tablets, to be put out next year by educational publisher Pearson.. But it’s unclear if their efforts, and similar ones by like-minded nonprofits and funders like the Gates Foundation, will trickle down to the millions of classroom teachers attempting to adapt to the new standards. Or if the bad curricula still circulating coupled with the nation’s fractured politics will do them in. This story was produced by The Hechinger Report, a nonprofit, independent news website focused on inequality and innovation in education. Read more about Common Core. This story has been updated from its original version to reflect the fact that Phil Daro was involved in developing previous versions of California’s math standards, not the latest standards that were replaced by Common Core.